Coconuts have slowly become a very hot and versatile food commodity, and are being used in everything from our daily cuisine to our beauty regimens. Yay to coconuts! Coconut meat is that white lining you can find inside the “nut” (kernel) itself. The meat can be juicy and tender, or slightly thick and crunchy, to tough and fibrous depending on how long the kernel has been stored. Though coconut only grows in tropical regions of the world, it is now widely available in the American/Canadian consumer market. And this is a fortunate thing as eating food products derived from coconut like coconut oil and coconut meat on a regular basis has profound positive effects to your overall health. Like avocados, people often initially associate coconut with fat… just remember it is a good fat! Coconut translates in Sanskrit as “the tree that supplies all that is needed to live”. Unlike long-chain, saturated animal fats from meat and diary products, coconut products contain medium-chain fatty acids that the body can metabolize easily and transform into energy quickly. They also contain compounds in charge of growth. Coconuts help the body by improving muscle size and overall physical growth in children. Regularly consuming coconut products help restore thyroid function and increase metabolic rate that is crucial to weight loss. Contrary to popular belief, coconuts in fact help accelerate our metabolism because they can’tbe stored in the body as fat. This contributes to firing our excess fat-burning metabolism quickly. The presence of medium-chain saturated fatty acids helps increase our metabolism and contributes to weight loss. They also help displace hydrogenated trans-fatty acids that are known to be toxic to us. Have Kidney Stones? Coconut water helps fight calcifications and nanobacteria in the kidneys. I have only lightly touched on the amazing benefits of coconuts, there are so many more for not only nutrition but for skin, hygiene etc. 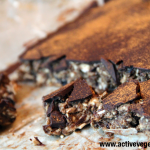 Okay so we created this amazing and of course delicious recipe to enjoy these many benefits! 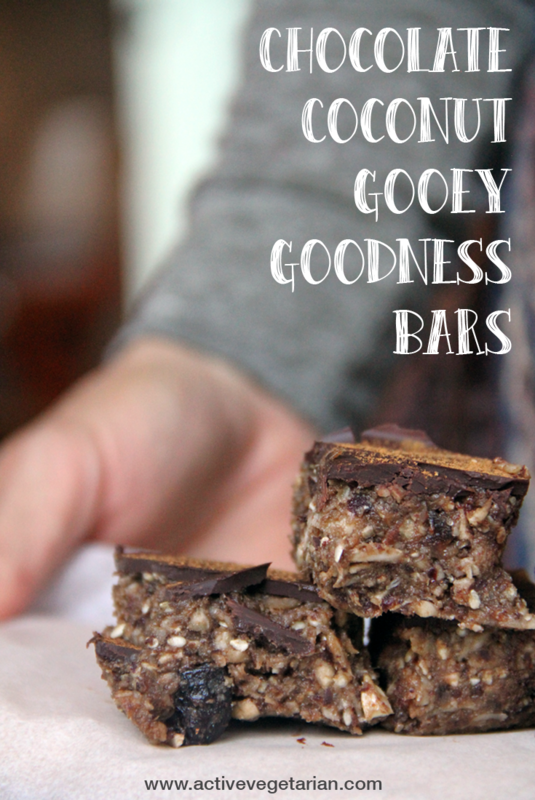 Super quick to make and tastes great!! In a food processor - using a "grating" blade, process the coconut meat to a fine shred. Place the shredded fresh coconut meat in a large mixing bowl - set aside. Place all "food processor" ingredients in food processor - Blend until it starts to form a "dough" like ball. Add "dough" like mixture to the coconut meat and mix well. Once well combined mix in the whole dried cranberries and the seed mixture. 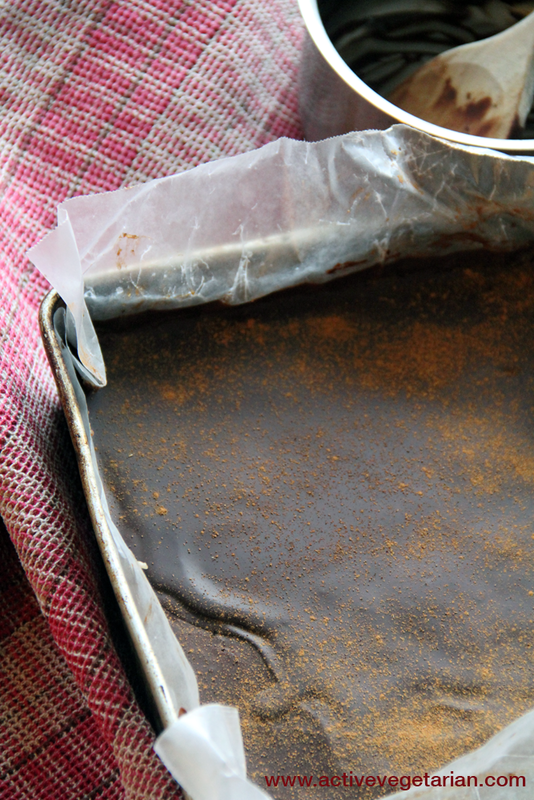 Line an 8"x8" pan with wax paper and flatten dough into pan - place in freezer. Place the vegan dark chocolate in a small pot and melt down - make sure you keep mixing as it melts so you don't burn it. Poor chocolate layer over the gooey base mixture - sprinkle lightly with cinnamon and freeze until ready to serve. Keep the bars in freezer.